The day was warm and sunny. 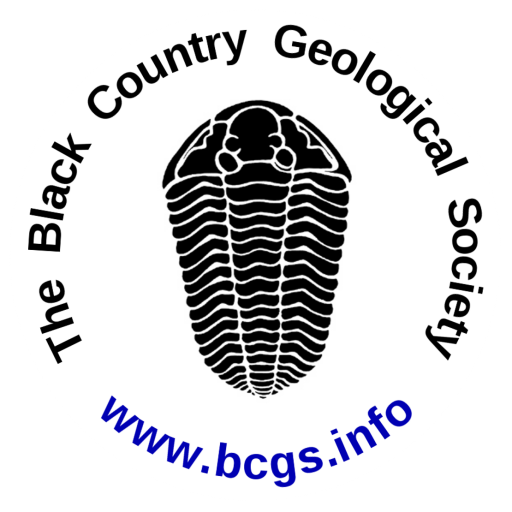 A handful of BCGS members joined the Lickey Hills Geo-Champions for a clearance session on the Rubery (A38) road cutting. 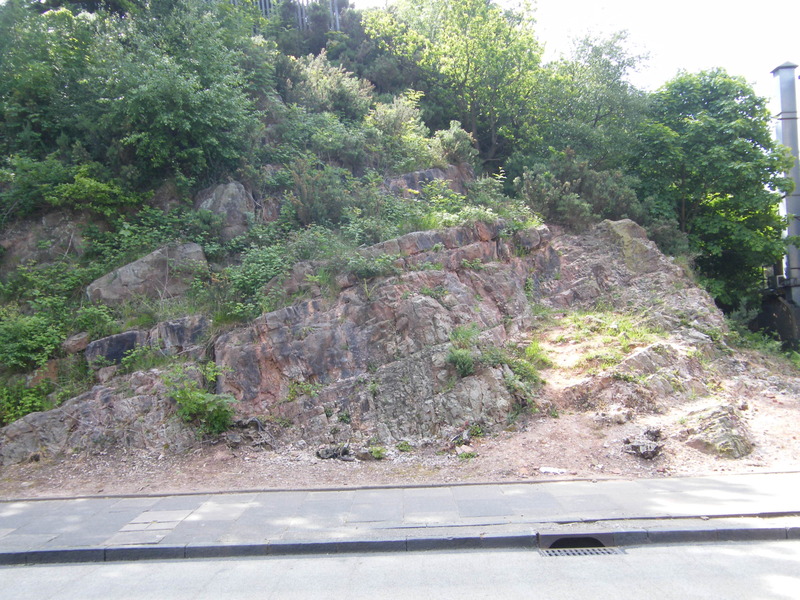 The exposure comprises Silurian sandstone overlying Ordovician Lickey Quartzite with a prominent contact between that represents a major unconformity. These rocks also represent the basement sequences for the Birmingham and Black Country region. In the past this site was an important one for visiting university students, but has been somewhat neglected in recent times. The exposures are along the former Leach Green Quarry wall and the adjacent road cutting, both of which in the past provided very good views of the two rock strata and the unconformity in between. 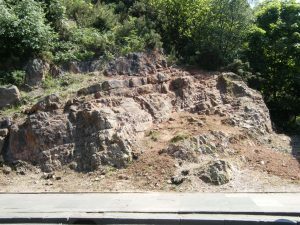 However, since the quarry ceased working it has been developed into a housing estate and much of what could be seen is now inaccessible because of fly-tipping and thick vegetation. Today only a small section of exposure is visible, which results from the construction of the A38 and associated fly-over after the quarry closed. Our day was spent clearing scrub and litter from the exposure face to make the strata and unconformity more visible. Within the Silurian sandstone strata distinctive finer muddy layers and cross bedding could be seen. The contact between the two strata shows a clear erosion surface where the sandstone strata were deposited on a landscape of the Lickey Quartzite. Like all the sites we visit this one is in need of on-going maintenance to keep it clear and protected. More information regarding the Rubery Cutting site and the Lickey Hills Geo-Champions can be found on the Herefordshire and Worcestershire Earth Heritage Trust’s Champions web site at: http://ehtchampions.org.uk.